AMMAN — HRH Prince Hassan, chairman of the Higher Council for Science and Technology, on Thursday attended the launch of the Strategic Review for the implementation of Sustainable Development Goal 2 — Zero Hunger. Giving a speech at the launching ceremony, Prince Hassan explained that Jordan was a model of sustainable development during the 1970s, adding that “the consequences we are having now are all the result of turbulent regional conditions”. The Prince renewed his call for a new international order that places humanity at its heart and deals with the three challenges the world is still facing: man against man, man and nature and man-made disasters, according to a statement by His Highness, office. Noting that sustainable development plans should be centred around ending hunger, Prince Hassan called for adopting a narrative that highlights integration rather than elimination, with human dignity at its core, the statement said. The Prince also explained that the concepts of renaissance and a state of solidarity and law are not new to modern Hashemite Jordan, calling for more constructive initiatives to achieve the sought-after development, the statement said. 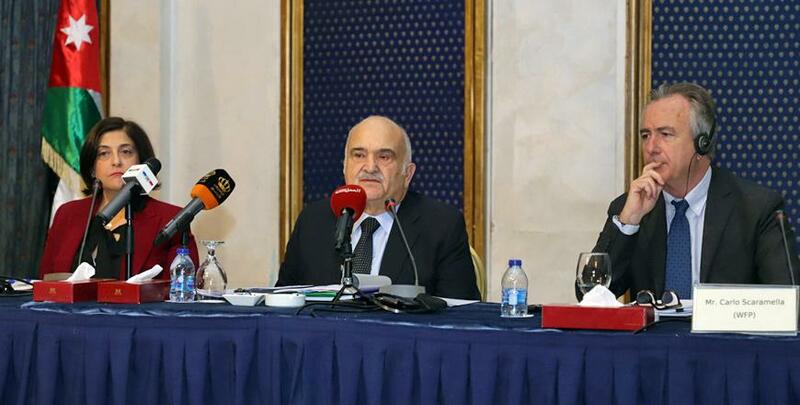 Prince Hassan also stressed the need for establishing partnerships in the Arab Mashriq (East), explaining that no state in the Levant region can solve its problems alone, according to the statement. The Prince also called for establishing a new reality based on development, complementary planning, capacity building, investment in people, social justice, empowerment, voluntarism and human dignity, according to the statement. Deputising for Prime Minister Omar Razzaz, Minister of Planning and International Cooperation Mary Kawar said that high unemployment, poverty rates, the rise in the budget deficit and public debt, as well as the regional instability are major challenges facing Jordan, adding that Jordan’s development endeavour is going through a critical phase based on safeguarding achievements and building on them to ultimately realising the Sustainable Development Goals.